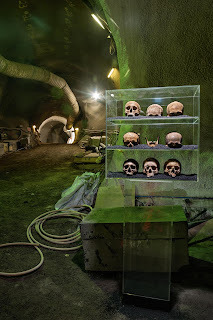 When I first started writing the Roman Bioarchaeology Carnival, I posted every two weeks. Then dropped down to every month because I was busy. And now it seems I'm dropping down to every two months. So it goes. Without further ado, here's the news I collected over January and February, including news stories that I wrote and a few of the news stories that feature my own research! 9 January - Spectacular Roman Finds Uncovered at Site of New Council HQ in Carlisle (News and Star). 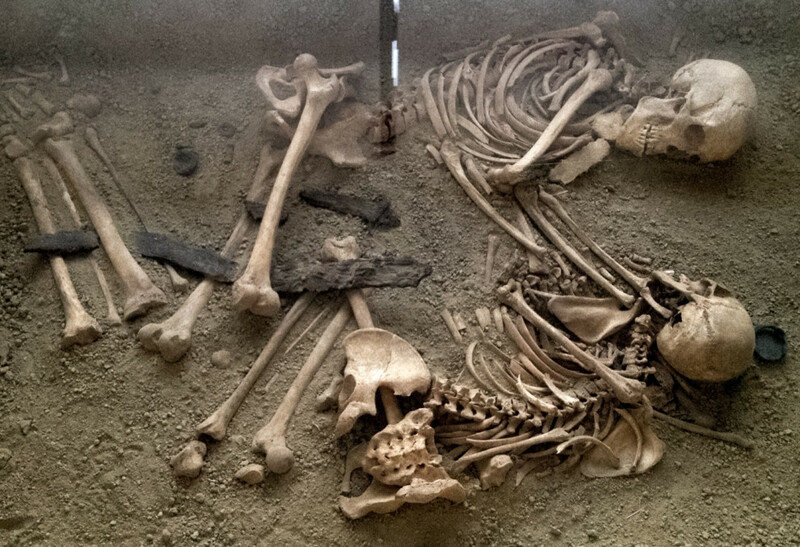 The cremation graves date to the 1st-2nd c AD, but the link here only has images of the artifacts. Roman skulls from London's "Big Dig"
9 January - Infanticide in the Archaeological Record: Sense or Sensationalism (Childhood Bioarchaeology). Bioarchaeologist Sian Halcrow has a new blog, and in this post she mentions the Yewden Villa site in England, which some have held up as evidence of Roman infanticide (spoiler alert: not infanticide). 12 January - London's Big Dig Reveals Amazing Layers of History (National Geographic). Plenty of Roman-era stuff found and highlighted in this summary piece. 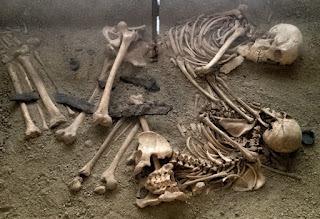 12 January - The Changing Burial Rites in pre-Roman Central Apulian Region (Past Horizons). Pre-Roman, sure, but some great info on the Greek influence on burial traditions here. 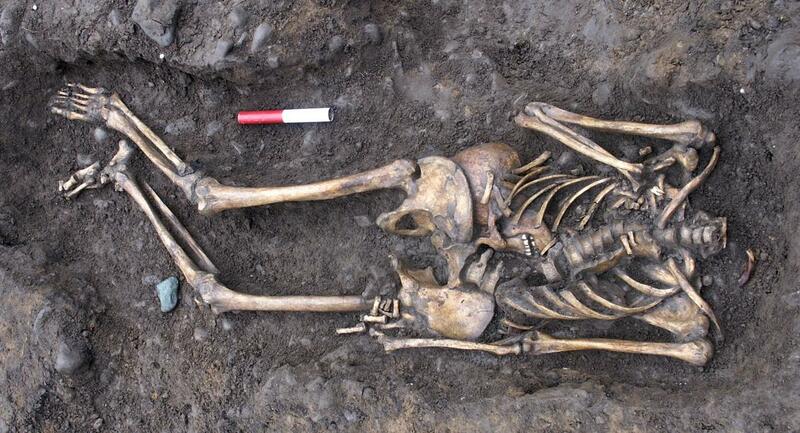 19 January - DNA Confirms Headless Roman-Era 'Gladiator' Not from Britain - And Maybe Not a Gladiator (Forbes). 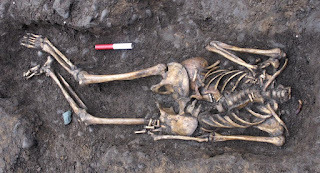 Here I cover a very interesting DNA study of 7 "headless Romans" from York. 6 seem to have been local, while 1 was from somewhere else, possibly the Near East. 6 February - Ecco le foto della scoperta di Baratti (Qui News Val di Cornia). Some very cool photos from what appears to be a rescue excavation of Villanovan period tombs in Tuscany. 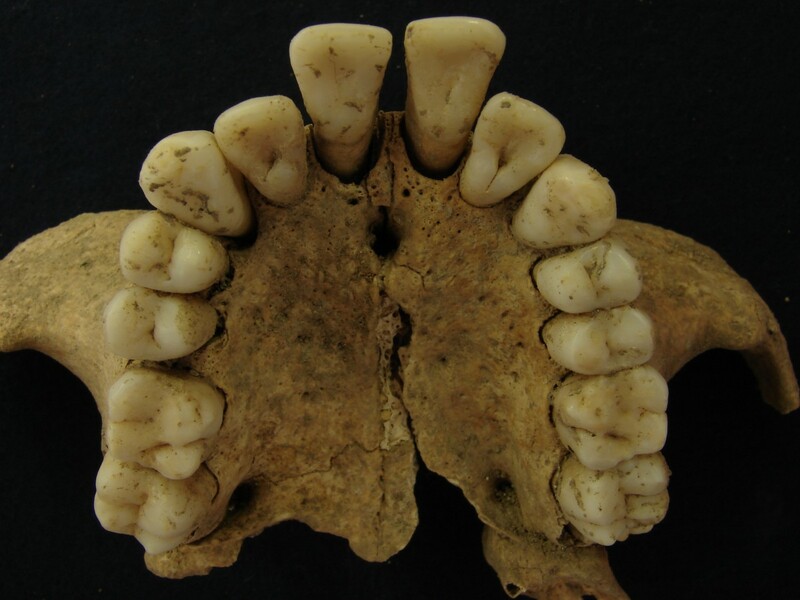 10 February - Teeth and Bones from Ancient Rome Hold Clues to Migration and Slavery (mental_floss). I wrote this based on my own research, but it was also covered by a number of other outlets, including LiveScience and Discovery News. 14 February - St. Valentine's Skull (Atlas Obscura). This saint was martyred in 273 AD on, of course, February 14. 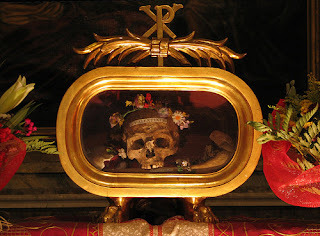 While this skull is supposedly that of the saint, there is plenty of doubt. 16 February - Archaeologists Discover Late Roman Graves at Ancient Thracian Tomb Ostrusha Near Bulgaria's Kazanlak (Archaeology in Bulgaria). Two of the graves were inhumations, while the third appears to have been a cremation. The graves date to the second half of the 4th century AD. 18 February - Ancient Roman Lifestyles of the Poor and Infamous (Forbes). I wrote this piece to give individual life context to each of the four immigrants I found in the research published this month in PLOS. So if you want to know more about what their lives were like and the injuries they had, check this out. 26 February - Kristina Killgrove: Exploring Human Migration through Biochemistry (ScienceVideos.org) In which I discuss my recent PLOS paper on video with some awesome Brits. As always, if you want to stay on top of skeletal news from the Roman world, and internationally, follow my Powered by Osteons page on Facebook!